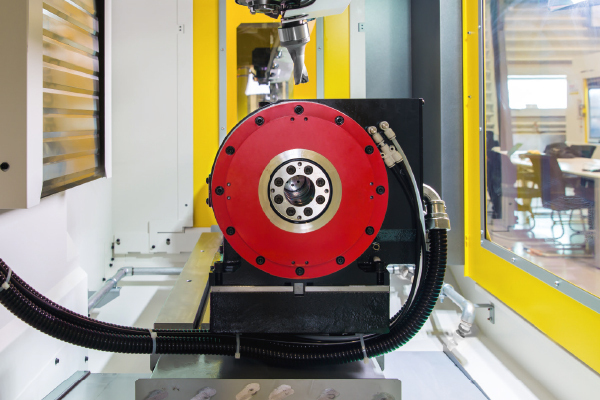 Designed to enhance the productivity of your FANUC ROBODRILL across an enormous range of applications, FANUC’s range of dedicated software and hardware accessories give you the freedom to tailor your machining processes to your needs precisely. Like all FANUC products, FANUC accessories exhibit world-beating reliability, are simple to use and have been designed to help you get the most out of your ROBODRILL. Using them will allow you to increase output and maintain exacting quality standards regardless of how challenging your machining processes might be. 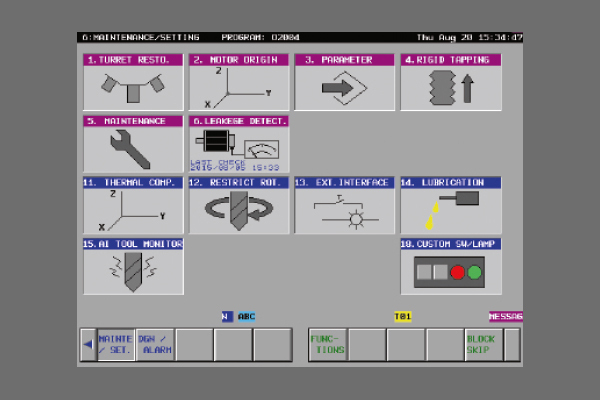 Designed to reduce the total time it takes you to get a drawing into production, FANUC MANUAL GUIDE i features an ergonomic Graphical User Interface (GUI) and user-friendly icons. Users also benefit from assisted and conversational programming of machining cycles, easy parts programming and simulation. 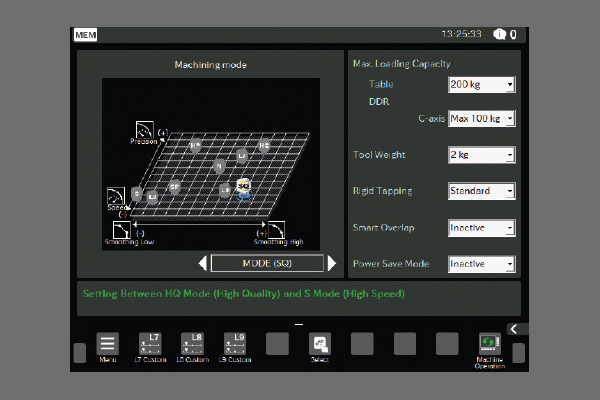 Using this feature, it is possible to set and optimise machining and energy modes according to the program. Servo parameters can be altered to suit machining conditions and machining mode parameters changed via M-code during machining in order to create the best possible conditions for process. Offering a complete overview of ROBODRILL’s leakage detection functionality, ROBODRILL’s maintenance guidance screens flag up insulation resistance and power leakage issues early, thus avoiding breakdowns by indicating the need for preventative maintenance. Likewise, the screens support periodical maintenance through schedules and reminders. These processes can also be easily customised to suit your exact needs. 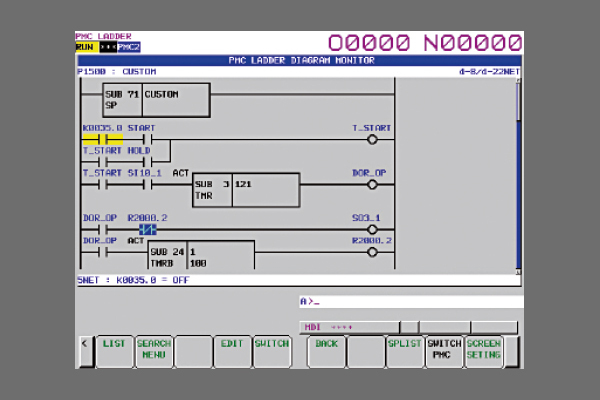 ROBODRILL’s custom PMC features easy-to-create LADDER programs for peripheral devices, including the ability to set LADDER program I/O and customise I/O signals. 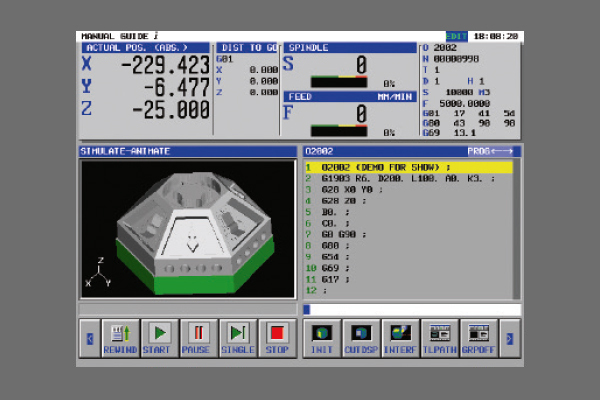 Its custom control panel includes the ability to monitor the status of peripheral devices, control the ON/OFF on machining programs, create ON/OFF, lamp and pulse switches. 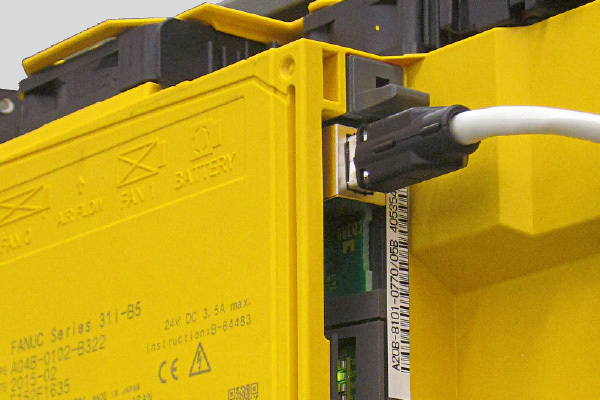 Using the panel, peripheral devices are easy and inexpensive to construct and maintain. Easy to set up, this function significantly reduces machine warm-up times and ensures accurate machining under thermal growth conditions that can affect dimensional accuracy. By monitoring the operational status of the spindle, the function adjusts the machining process to compensate for any elongation that occurs. capability is already in the CNC. 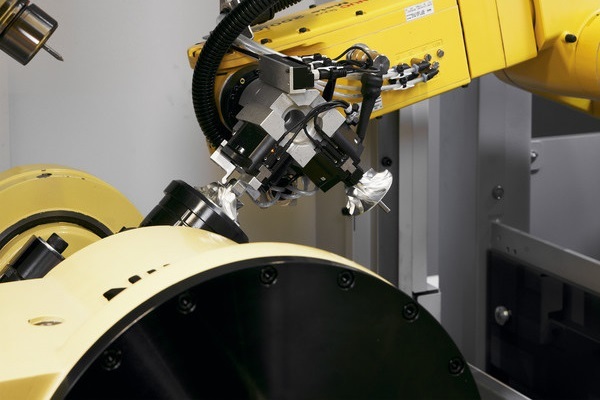 FANUC’s Robot Interface 2 enables the easy and inexpensive construction of a machining cell. 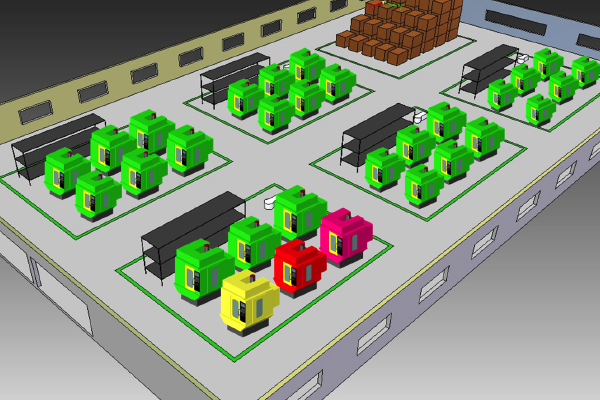 You can easily connect four ROBODRILLs and one ROBOT without an additional system controller – the complete control software is included in the ROBODRILL PMC. In addition, the robot controller supports an automatic side door or an automatic front door. 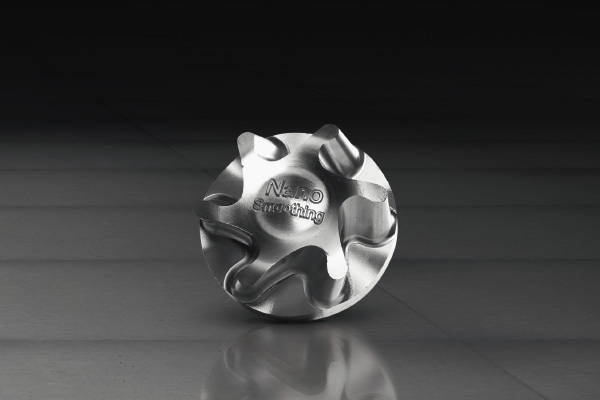 FANUC ROBODRILL’s Nano Smoothing functionality reduces the need for manual finishing on processes, such as mould machining, that require sculptured surfaces. 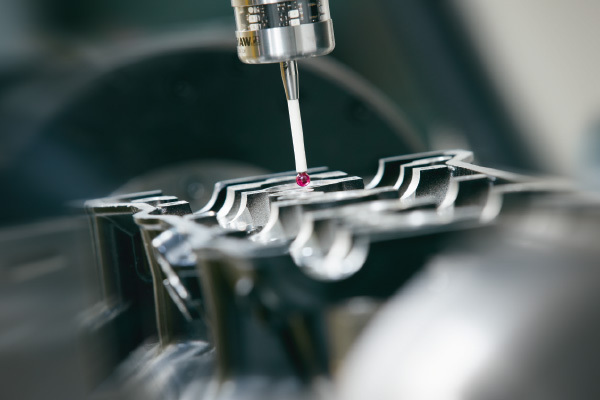 Look-ahead blocks expansion enables higher-precision machining on processes, such as die and mould machining, that involve cutting complex part-forms defined by numerous tiny program blocks. 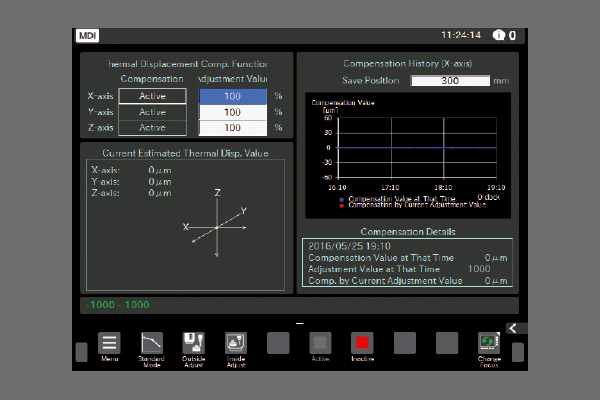 AI Contour Control I/II enables high-precision machining at optimal machining speeds, eliminating errors and increasing feed rates. ROBODRILL can be equipped with state-of-the-art touch probes and tool measurement devices from a third party. costly downtime from occurring, if a breakage does occur this feature stops the machine automatically. Networking ROBODRILL with personal computers and robots is achieved easily via Ethernet. ROBODRILL supports various types of field networks and connections such as I/O Link, PROFIBUS-DP and FL-net. 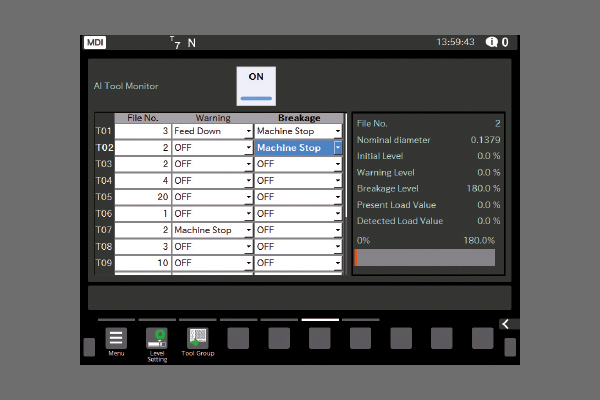 Equipped with a new graphic interface, LINKi is an updated production and quality information management tool that allows you to monitor machine status as well as operation conditions of up to 100 ROBODRILL machines in real time from remote PCs or smart devices. Specific information is available for each machining job and push notifications can be sent to different devices. 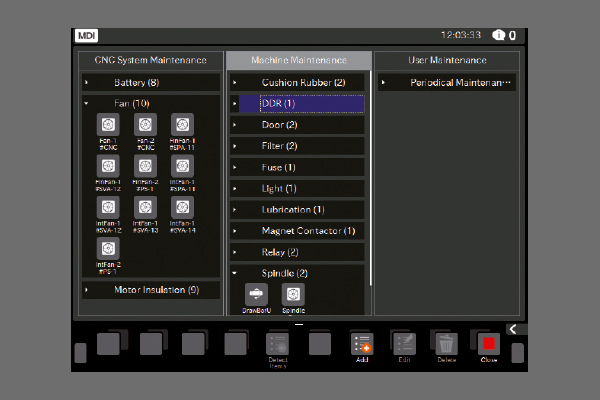 The extremely user-friendly and intuitive interface gives you access to preventative maintenance functions as well as consumable and repair services. Thanks to its direct drive motor and improved rigidity for more accurate machining, the FANUC ROBODRILL DDRiB makes the perfect additional axis for your ROBODRILL. Benefits include an indexing time of just 0.55 seconds, ultrafast clamping and a clamp torque of 700 N-m. 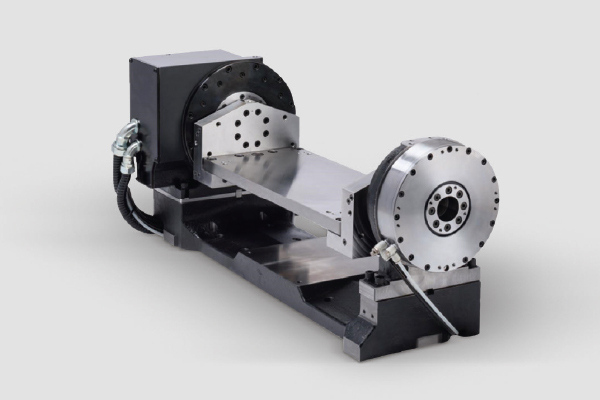 Depending on the application, we can equip your ROBODRILL with an extremely rigid DDR-T trunnion system that features all the benefits of the DDR rotary table and includes a support spindle and L-brackets. Its improved rigidity ensures even higher degrees of machining accuracy. All you need to do is add the fixture plate. The DDR-T’s practical design ensures that the existing X-axis travel remains the same as on the 3-axis design. Clamp torque on the DDR-TiB is 1100 N-m.